During my career as an Aerospace Photojournalist I've been honored to participate in a lot of flight assignments, working with both civilians and the U.S. military in the USA and Europe. I specialize in air-to-air photography, meaning I fly photo shoots alongside various aircraft, whether it be for someone's marketing & advertising, or for my reporting for a story on assignment for different websites and magazines. 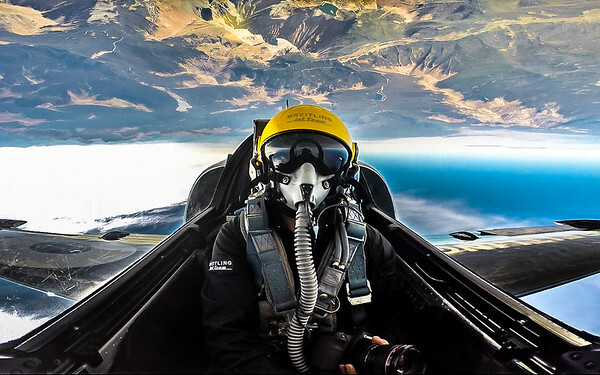 Over the years I've been a team photographer for Breitling Jet Team, flew into a solar eclipse with the U.S. Navy, flew over Normandy for a D-Day shoot with A-10s from the 107th Fighter Squadron, flown several shoots with the U.S. Navy F-18 Tac Demo Team, The Blue Angels, have flown cross-country on tanker assignments shooting the U.S. Air Force Thunderbirds, and have flown shoots with many civilian air show performers such as Sean Tucker & many others.